Martin Luther was a simple monk and theologian who challenged the greatest power on Earth. 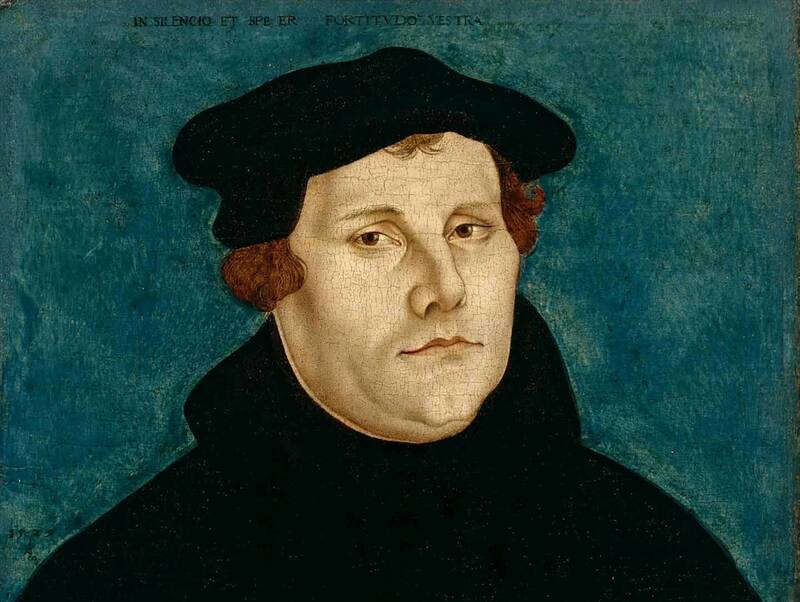 When his hammer rang out in 1517, he started a theological revolution that ignited wars, reshaped Europe and influenced culture in many ways, including the creation of two ideas that underlie some of Germany's greatest music. In a time when the Roman Catholic Church was also the Holy Roman Empire, religious matters permeated every aspect of life — and the Church was believed to be the mediator between humanity and God. Martin Luther proposed the "priesthood of all believers" — simply, that everyone had direct access to God. This was both politically and liturgically explosive. In the late Renaissance, people went to church and mostly stood around while the priest said Mass and professional singers sang beautiful, complex, polyphonic music in Latin. Most people didn't have the training to join in, and Luther wanted to make that possible. It was a matter of growing in relationship with God. In order for that to happen, two things were needed: a Bible in the vernacular and simpler music that could be sung by untrained singers. Luther translated the Bible into German while in hiding at Wartburg Castle after the Edict of Worms, publishing the New Testament in 1522 and the entire Bible in 1534. This work, which happened during the time of the Gutenberg printing revolution, put the sacred texts into the hands of the people. He also wrote the Deutsche Messe, a German Mass that changed part of the Eucharistic rite into the vernacular. He composed a number of hymns and songs on Scriptural texts, in German. The most famous of these is arguably his setting of Psalm 46, Ein feste Burg ist unser Gott ("A Mighty Fortress Is Our God"). He also reconfigured a number of existing chants and songs for use in worship, continuing to build on tradition, not trying to up-end it. Some hymns of the Reformation were created as contrefacta — sacred texts superimposed on existing secular melodies. There's a legend that involves Luther asking, "After all, why should the Devil have all the good tunes?" Luther's songs tended to have one note per word, to be organized strophically, and to have melodies simple enough that people could learn them by heart. They were sung in unison in church, but harmonies also were created so that they could be sung in four parts. 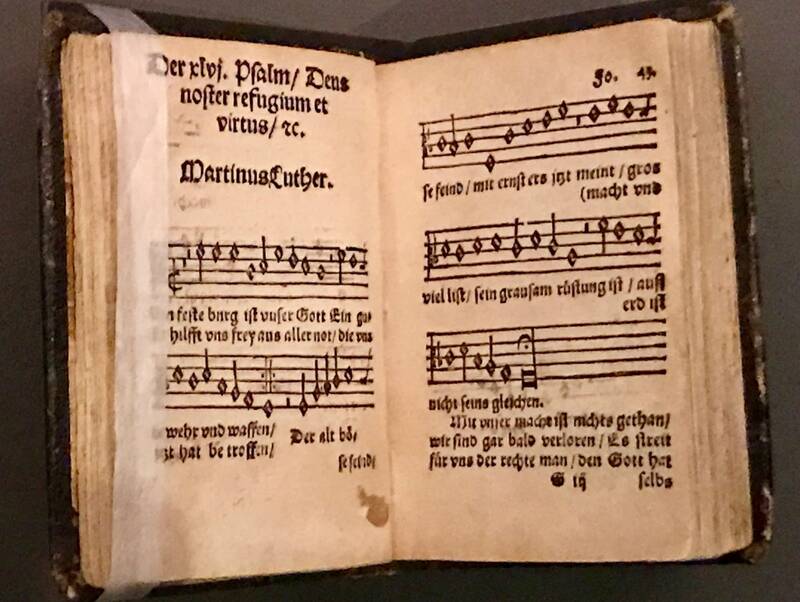 This simple, straightforward form was called the chorale, and it was a jumping-off point for 16th-century works such as Michael Praetorius' polychoral pieces and Hans Leo Hassler's psalm settings and sacred songs. Heinrich Schutz wrote beautiful passions and magnificats based on texts from Luther's Bible and the chorales texts that came from it. Johann Schein and his sacred madrigal and Samuel Scheidt's organ music are descendants of Luther's work. And then there's J.S. Bach. He was born 139 years after Luther's death, but he echoed Luther in his reverence for God and his seriousness about his musical vocation. Bach's Orgelbuchlein, his cantatas, his chorale settings and the Passions of St. John and St. Matthew represent the pinnacle of the German Baroque period, and they arose out of the German Reformation Chorale and the Lutheran Bible. The hits just keep on coming, including the works of Georg Philipp Telemann, George Frederick Handel and Dieterich Buxtehude; Felix Mendelssohn's Reformation Symphony; and Johannes Brahms' German Requiem. If you listen closely to any of these, you'll hear the faint sound of a hammer striking a nail.